Feel like you're practicing a lot and not making any progress? Check out this encouraging TEDx talk by Josh Kaufman: The first 20 hours--how to learn anything. His steps for effective practice apply very well to learning music, as you will see at the end of the talk! James Madison University was highlighted as one of the "high performing" schools with regard to affordability and job placement. Find out more at the links below, as well as a link to the White House's new online ranking system, College Scorecard. I recently had the privilege of attending the AHS Institute in Logan, Utah. It was an inspiring experience! The friendly atmosphere reminded me that the American Harp Society does incredible work in building the harp community across the country and beyond. There were many fantastic performances of standard and newly commissioned music, workshops on improvisation and teaching, and much more. If you missed the Institute, you can still be a part of the experience! All of the concerts and workshops were recorded and can be rented from the AHS Archives. If you're not already a member of the American Harp Society, you can sign up and be ready for the next inspiring AHS Conference in Atlanta 2016. RVA Harp Day, hosted by the Virginia Harp Center, takes place Saturday, November 1st in Richmond, Virginia. The day will be full of informative workshops from Rhythm & Motion to Orchestra Masterclass to Worship Music and more! Adriana Horne, principal harpist with the National Symphony, will be the special guest performing a concert in the evening. Register or buy concert tickets today! It's amazing how much we can learn from other disciplines. I recently saw an episode of 'Life After Film School' in which students interviewed Kevin Bacon. Much of his advice to the film students applies to musicians as well. 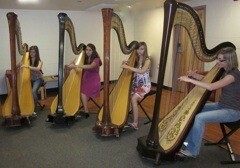 The Rocky Mountain Springs Harp Program, where I teach, still has a few openings! If you are interested, please contact me or visit the summer program website, rmsharp.org. If you are looking at being a music major in college, you may have heard from others or be asking yourself, "What can I do with a music degree?" There are endless ways to use your music skills both within the music field and in other fields. This article, "The Changing Face of Music as Career" by Christy J. Talbott, details a variety of jobs for which music majors are well-suited. Take a look and explore a few that pique your interest! If you are interested in being a music major or minor, auditioning is a very important part in determining whether or not you will be accepted. A successful audition requires months of preparation. Check out these articles for preparation tips for the months, weeks, and days before your audition! Rocky Mountain Springs Harp Program is now accepting applications! 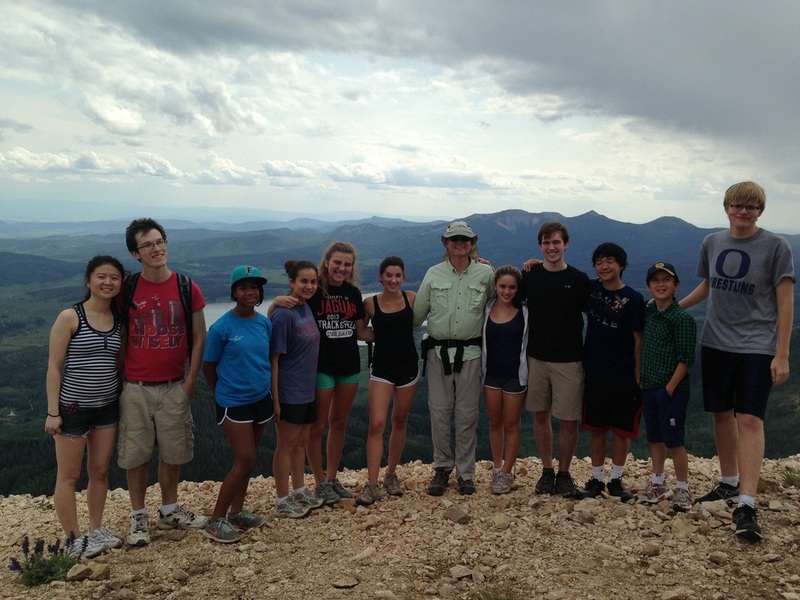 The Rocky Mountain Springs Harp Program is now accepting applications for 2014! Apply at rmsharp.org. Are you thinking of auditioning for colleges as a harp major or minor? The University of Mary Washington is a liberal arts school in Fredericksburg, Virginia with a small, vibrant music program. Scholarship auditions occur in January and February. For more information, visit cas.umw.edu/music/auditions/ or contact me.